Sherry Buckles, CFRE has been named NC State CVM Executive Director of Development. NC State College of Veterinary Medicine’s new executive director of development is a familiar face to CVM supporters. 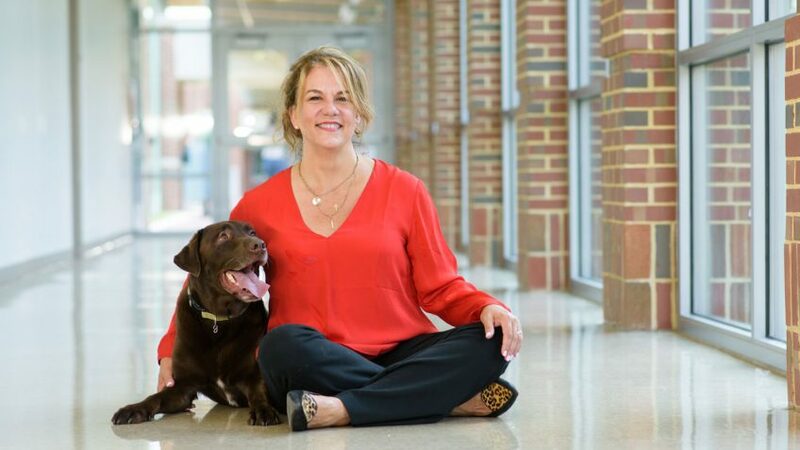 Sherry Buckles, who has served as the CVM’s director of development since 2014, stepped into her new role on May 25, and leads a team that tirelessly cultivates wide-ranging support for the top-ranked veterinary school and hospital. The executive director of development oversees major gift prospects from private and public foundations, as well as individuals, increases awareness of the college and hospital and works closely with the North Carolina Veterinary Medical Foundation. Buckles has nearly 20 years of experience in fundraising and managing high-level development programs at major higher education institutions. For seven years, she was an assistant director of development for Johns Hopkins University, first for the college’s office of annual giving and then for its Sidney Kimmel Comprehensive Cancer Center. From 2009 to 2011, she was the director of development at Duke University’s Nicholas School of the Environment. Buckles was the director of major gifts at the University of North Carolina Children’s Hospital for three years before coming to the CVM. Please join us in congratulating Sherry on her new position.